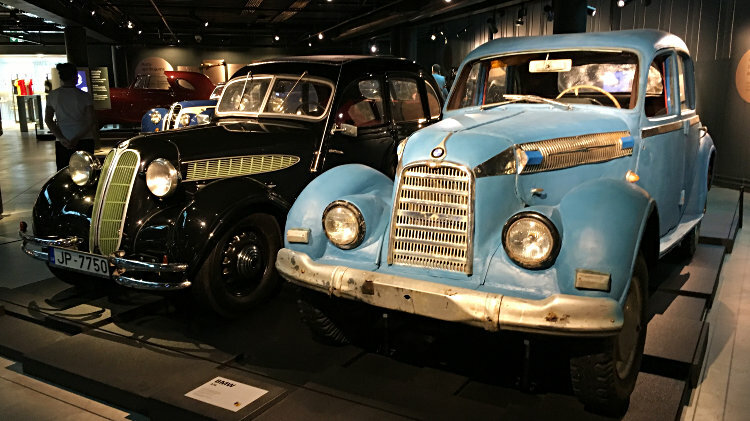 The Riga Motor Museum with over a hundred classic cars including limousines of Soviet leaders is one of the top sights to see in Latvia – a must-see for car lovers visiting the Baltic States. 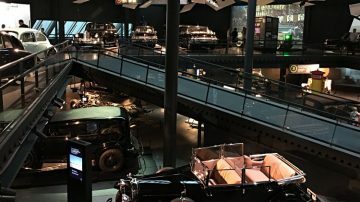 The Riga Motor Museum (Rīgas Motormuzejs) in Latvia is one of the world’s great automobile museums and one of the best sights to visit in the Baltics. The museum has over a hundred cars on display with cars from the Soviet era probably the most interesting to foreign visitors. The Kremlin Collection of cars used by Soviet leaders including an armor-plated limousine from Stalin’s fleet and a Rolls Royce (!) crashed by Leonid Brezhnev. A fine collection of German limousines and sports cars from the 1930s is enhanced by a BMW 326 that survived five decades of Soviet abuse with only the original badges intact. 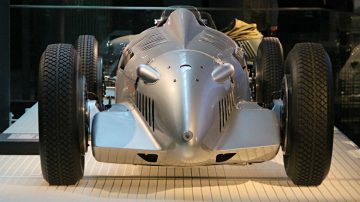 An authentic copy of a 1938 Auto Union V16 Type C/D racing car is at the heart of this motoring museum. 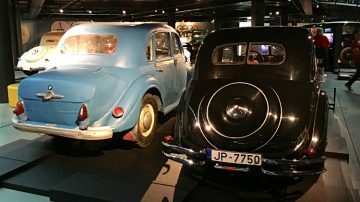 The Riga Motor Museum is a must-see for car lovers but even less enthusiastic partners will find the museum fun and easy to enjoy. 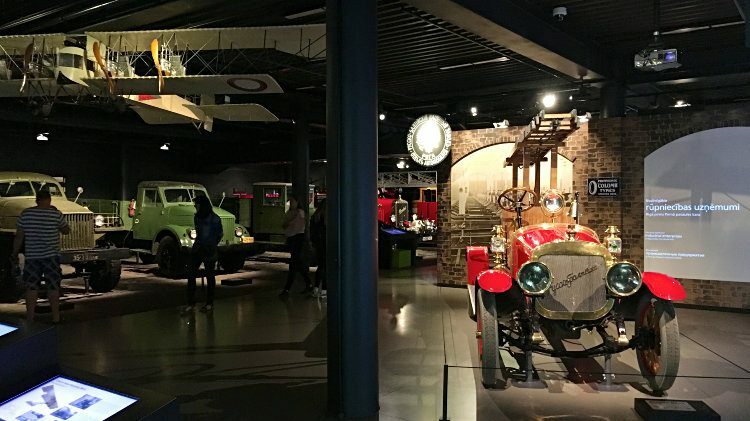 The Riga Motor Museum in the outskirts of the Latvian capital is a very modern museum with a fantastic collection of vintage and classic cars. Although the façade of the modern museum building reminds of an imposing Rolls Royce radiator grill, the building was actually opened in 1989, shortly before the end of communism. The museum building and exhibition were extensively refurbished in 2016 and the museum thus has a wealth of modern aids and interactive displays. The Long Road to the Car – a short but interesting introduction to the history of transportation. The origins of the automotive industry – the early years of the automobile and the surprising role of a Latvian. The 1920s with beauties from the first decade of the Latvian Republic. Motorsport with a magnificent copy of the famous Auto Union, as well as a few rare Soviet-era racers. Exhibition Hall with temporary exhibitions. The displays and presentations are interesting with almost all descriptions and audio in the museum available in Latvian, Russian and English. Even visitors not particularly interested in cars will find it easy to enjoy the at least two hours the museum recommends for visits. Car lovers will easily stay longer. 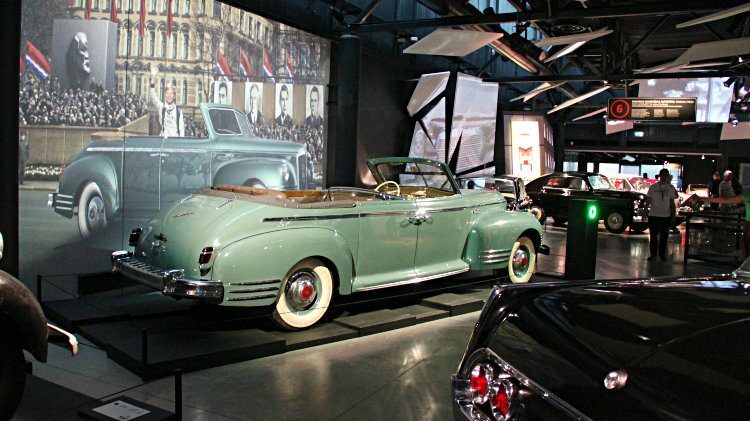 A star exhibit in the museum is the role of a Latvian motorcar pioneer in the US motor industry. The Latvian-born Augusts Krastins (1861-1942) immigrated to the US in 1892. In his spare time, he designed his first car in 1896. In 1901, investors put $200,000 in the Krastin Automobile Company – more than was invested in Ford founded two year later. However, Krastin went bust when the factory burnt down in 1904. Only around ten Krastin cars were ever produced: they were innovative including the first self-cleaning spark plugs, a steering-assisted gear shifter and a special carburetor. 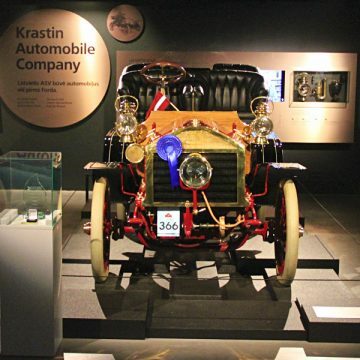 The Riga Motor Museum has the only surviving Krastin car in the world. 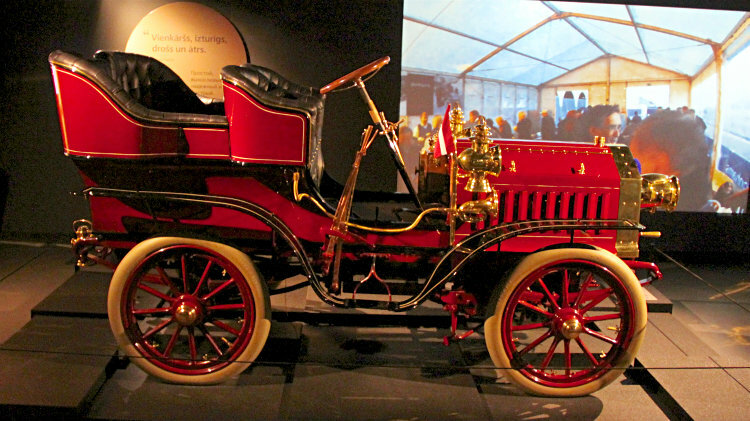 This 1903 Krastin has a tonneau body with rear-entry doors. It followed the American standard of front engine, rear-wheel drive by shaft rather than chain, matched to a three-speed gearbox. However, it has an unusual counter-clockwise rotation engine (3120 cc, 10 HP, R2) that was good for 35 km/h. It also features a convenient folding steering wheel to make entry easier. 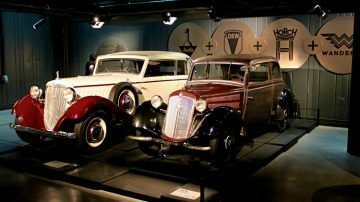 The Riga Motor Museum has several superb cars from the 1920s and 1930s, including many luxury cars left behind by the Germans after the re-occupation of Latvia by the USSR. Arguably the most interesting car on display here is a 1930s BMW 326 that was modified and adapted during more than four decades of use in the Soviet Union. BMW spare parts were of course not available in the USSR and every repair needed some ingenuity for replacements to keep the car on the road. The two BMW emblems are considered about the only visual elements on the car to be the originals. This Soviet BMW is on display next to an original BMW 326 to show the differences. A video explains in some detail what Soviet components were added to keep the car on the road. 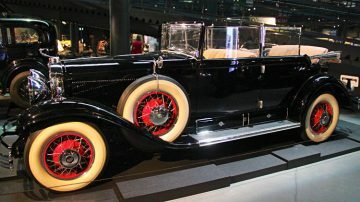 The Latvian rich preferred German cars during the interwar years but the official car of the Latvian President and Prime Minister Kārlis Ulmanis was a 1930 Cadillac Fleetwood All Weather Phaeton. 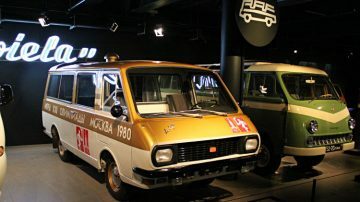 The Kremlin Collection of is one of the highlights of the Riga Motor Museum. 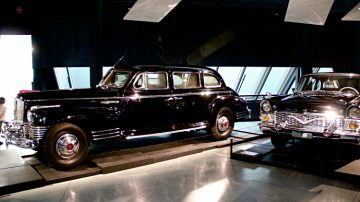 This collection of large limousines used by Soviet dignitaries is something rarely seen in Western museums. A particularly notable car is Stalin’s 1949 ZIS 115 (6005 cc, 162 HP, R8, 140 km/h, 4100 kg). This armored vehicle was undergoing bulletproof tire tests when Stalin died in 1953. Most other similar armored vehicles from the period were destroyed but this one remained forgotten at the tire factory. In the 1950s, the waiting time for the delivery of a basic car in the Soviet Union was 3 years but of course only for those that qualified to drive a car at all. During the 1960s, the waiting time stretched to 6 years and in the 1970s to over 10 years. Soviet leaders had no such worries. In 1980, General Secretary Leonid Brezhnev crashed a 1966 Rolls Royce Silver Shadow (6230 cc, 172 HP, 190 km/h, 2100 kg). 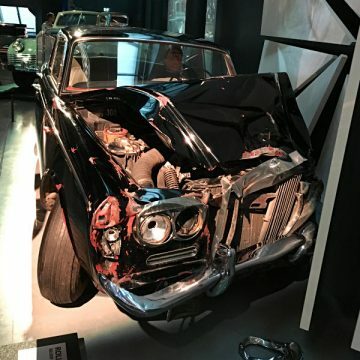 The smashed up car was never repaired and is on display as it appeared following his accident – complete with a model of Brezhnev behind the steering wheel. Visitors may also pose next to a ZIS-110B parade car and pretend to take the salute. A copy of the photo may be send for free to any email address. 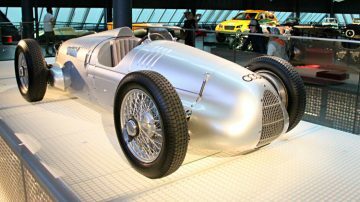 To a large extend, the reason for the existence of the Riga Motor Museum is a 1938 Auto Union V16 Type C/D racing car. At the end of the Second World War, the Soviet army discovered 13 Auto Union racing cars hidden near the Zwickau factory and took the cars back home as war trophies. Unaccustomed to the phenomenal speed and power of these racing cars, a test driver crashed one on a Moscow highway and killed 18 spectators in 1946. Foreign cars were subsequently banned from racing in the USSR. In 1976, Viktors Kulberg, the president of the Antique Automobile Club of Latvia, learned that this Auto Union V16 Type C/D wreck was due to be demolished. 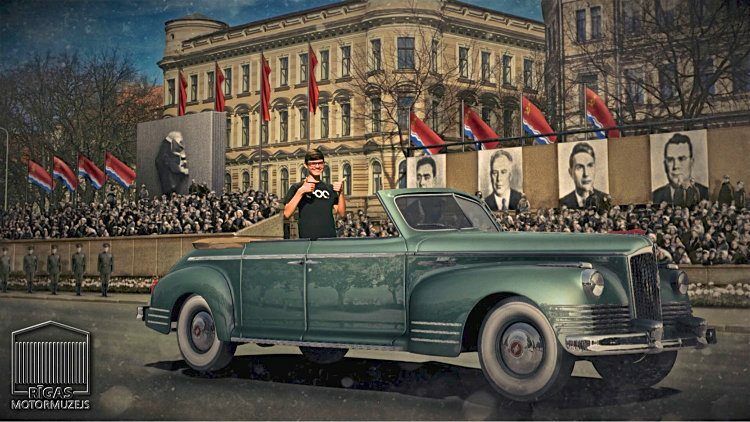 He managed to save the car that formed the basis of the Riga Motor Museum. 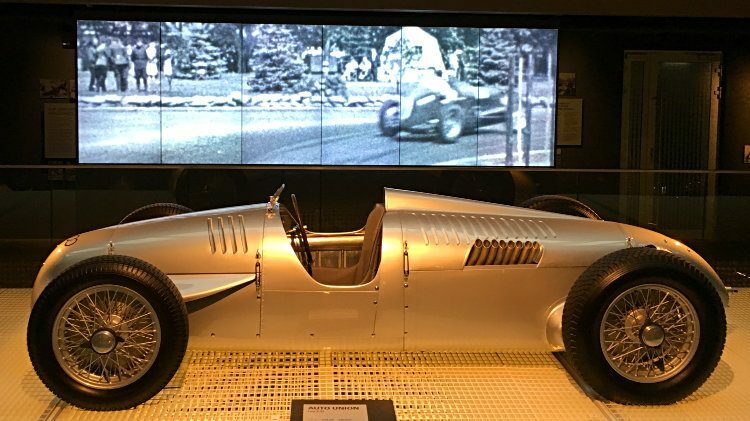 The gleaming Auto Union on display in the museum is an authentic replica. 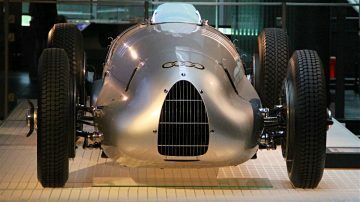 The original was sold for an undisclosed sum and is on display at the Audi Museum in Ingolstadt, Germany. 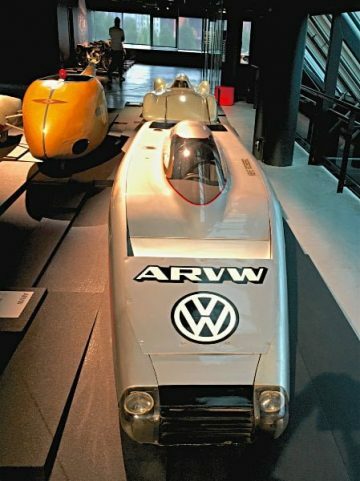 Audi paid for the replica and some other Volkswagen group research vehicles on display in the Riga museum. Also interesting in the motorsports section are racing cars produced in the Soviet Union. In the basement of the museum are several early Russian and Latvian produced cars, bicycles, motorcycles and special purpose vehicles. It also has an exhibition of pre-Second World War Latvian radios but the more interesting displays are probably vehicles used during the Moscow Olympic Games in 1980. During the Soviet era, Latvia was an important producer of the minibuses under the RAF (Riga Bus Factory) brand. Admission tickets to the Riga Motor Museum is €10 for adults, €5 for children, students and seniors (aged 60 plus). Admission is free for children under 7. Family tickets are €20 for two adults and up to four children or €15 for one adult and up to four children. Holders of the Riga Pass or Tallink Club One received 25% discounts. The Riga Motor Museum is open daily from 10:00 to 18:00. The museum is open on many public holidays but closed for several days over Christmas, New Year and the mid-summer solstice. 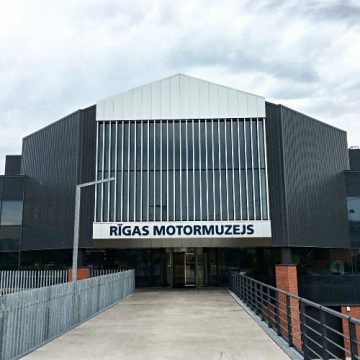 The Riga Motor Museum, Rīgas Motormuzejs, S.Eizenšteina iela 8, Rīga, Latvija, is in the eastern suburbs of Riga but easily reached by car or public bus from downtown Riga. Free parking is available directly at the museum. Getting to the Riga Motor Museum on public transportation from downtown Riga is easiest on bus 5. Bus route 5 runs once or twice per hour from outside Riga train station with stop Motormuzejs directly in front of the museum. Total traveling time is between 30 and 40 minutes. Tip: Check the bus return times on the bus stop before going to the museum – it is more pleasant staying half an hour longer in the museum than waiting for the bus in wind and weather. It is an interesting bus ride from Riga’s restored center through older, less well-maintained (or yet to be restored) historic buildings, new suburbs with modern office blocks, empty spaces, parklands and regular suburbs. The museum building can be seen from a distance and the bus driver anyways knows exactly where foreign visitors want to get off. Taking a taxi is also a sensible option. The charge is per meter but should be around €10 from downtown Riga. See more photos of cars in the Riga Motor Museum in Latvia on Flickr. Book Riga Tours on GetYourGuide.